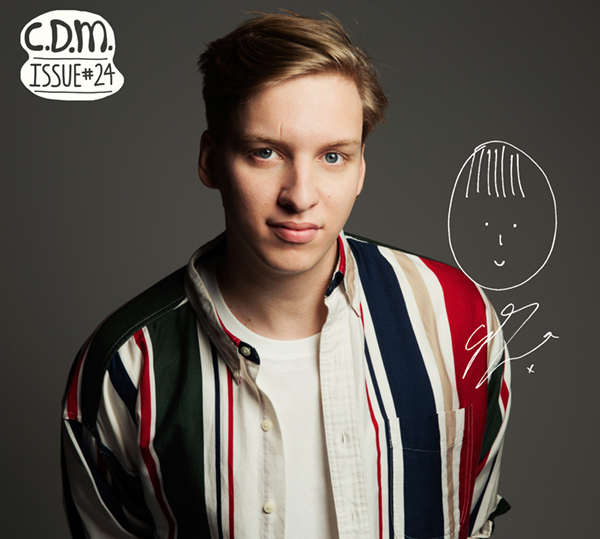 latest interview: Interview: George Ezra on his new album, 'Staying At Tamara's'. Music Paige announced as support for George Ezra. Music 5 reasons to watch George Ezra live next February. Music George Ezra - ‘Hold My Girl’ music video. Music Interview: George Ezra on his new album, 'Staying At Tamara's'. Music George Ezra - 'Shotgun' music video. Music George Ezra - 'Shotgun' lyric video. Music A George Ezra x 'Staying At Tamara's' appreciation post. Music Listen: George Ezra's new song 'Hold My Girl'. Music George Ezra - 'Pretty Shining People' music video. Music Review: Auckland City Limits - Western Springs, March 2018. Music Interview: George Ezra on new music, mental health, and playing Auckland City Limits. Music Auckland City Limits 2018 - first line-up announcement! Music Watch: George Ezra performs 'Don’t Matter Now' live for Jimmy Fallon. Music Listen: Sigrid covers George Ezra’s 'Budapest'. Music George Ezra announce SITG 2017 sideshows for Sydney & Melbourne. Music George Ezra - 'Barcelona' music video. Music Watch: George Ezra performing 'Did You Hear The Rain?' live at Glastonbury 2015. Music George Ezra performing ‘Did You Hear The Rain’ live at BBC Radio 1’s Big Weekend 2015. Music Watch: senior citizens react to George Ezra's song 'Budapest'. Music George Ezra - 'Budapest' live at the 2015 BRIT Awards. Music George Ezra covers Macy Gray 'I Try' in the Live Lounge. Music George Ezra - 'Budapest' live on Conan. Music George Ezra performs 'Budapest' live on Ellen. Music George Ezra - 'Budapest' and 'Did You Hear The Rain?' live for Jimmy Kimmel.